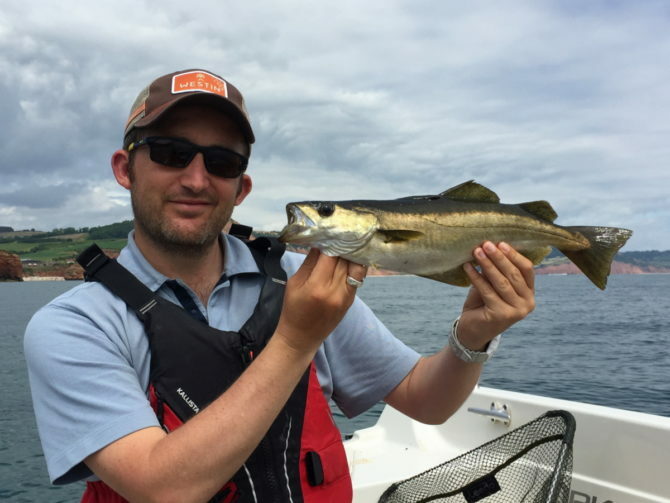 Cracking day-out fishing Ladram Bay on one of the self-drive hire boats. The weather forecast was perfect for my birthday, with not a breath of wind. Heading out at a little after 9am, it was clear how much baitfish was around. Left undisturbed the small sandeel and other baitfish would surface and form large shoals, rippling and popping on the surface. It made it easy to locate the predators beneath. 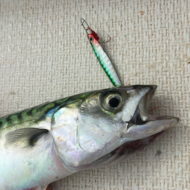 I was soon pleased to see a healthy bend in my LRF rod as a succession of Mackerel fell for a fluttering metal jig, slowly falling below the shoals of baitfish. Good to see, finally. 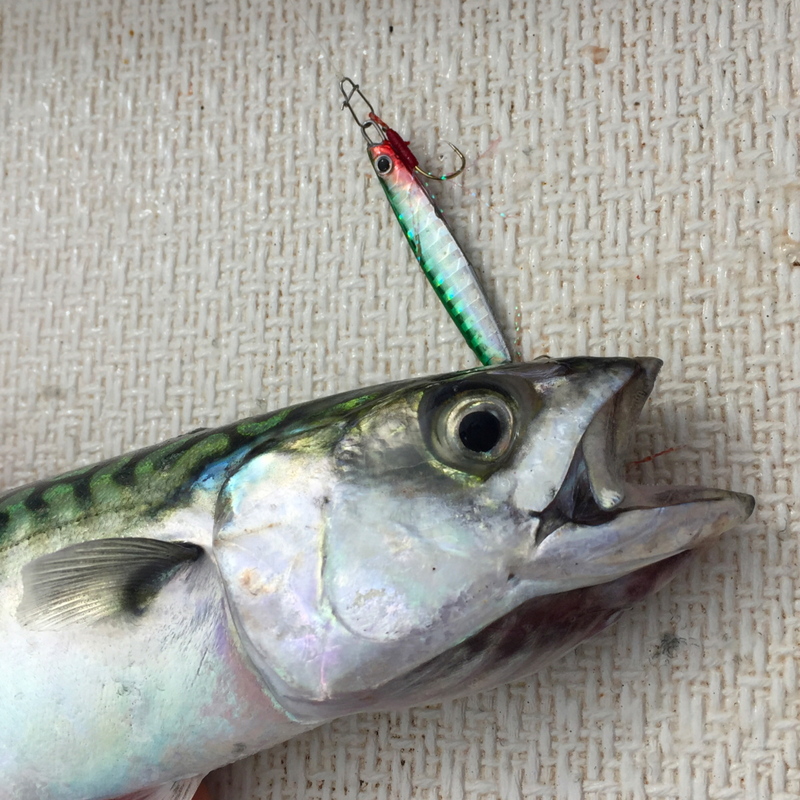 Despite a sustained attempt to locate other preds under the shoals, I couldn't avoid the Mackerel so switched over to a bigger weedless plastic and headed over to the rocks and kelp - clearly located through the crystal clear water. 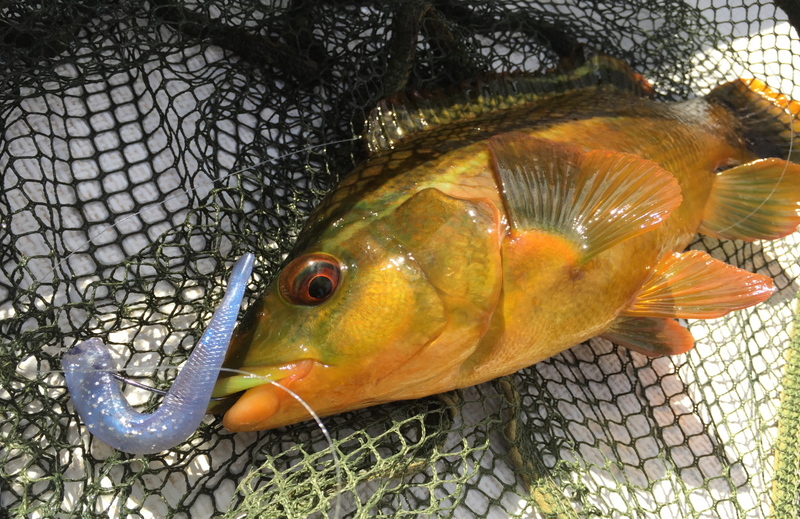 Although I didn't locate any monsters, it was a really enjoyable day in the bay with a constant stream of Ballan Wrasse, Pollack and Mackerel. We were really blessed with the weather. I will return in search of more species.